The Bible teaches that all people will die, and all will survive the grave and live either with Christ or without him in eternity. 76-year-old evangelist John Chapman explores how we can know if this is true, and, if so, how to prepare for that eternity. This is a warm-hearted, good-humoured and challenging evangelistic book for 'seniors'. It explains how we can know about life after death, what the new creation will be like, and whether we can be sure of being part of it. Making The Most Of The Rest Of Your Life by Gary Chapman was published by Matthias Media in June 2007 and is our 10179th best seller. 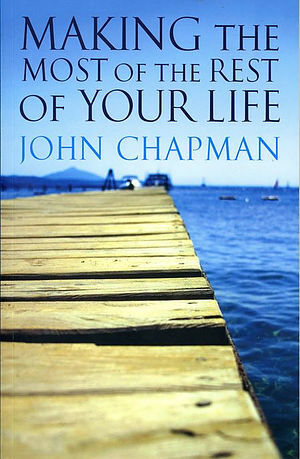 The ISBN for Making The Most Of The Rest Of Your Life is 9781921068768. Be the first to review Making The Most Of The Rest Of Your Life! Got a question? No problem! Just click here to ask us about Making The Most Of The Rest Of Your Life.